Red Moon Book Tours: Release Day Blitz! Midnight Diamonds by Cynthia Hampton Prince! Release Day Blitz! 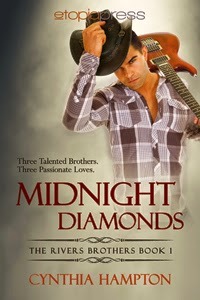 Midnight Diamonds by Cynthia Hampton Prince! Today is the release day for a new Contemporary Romance novel, Midnight Diamonds by Cynthia Hampton Prince! Blitz Schedule below!